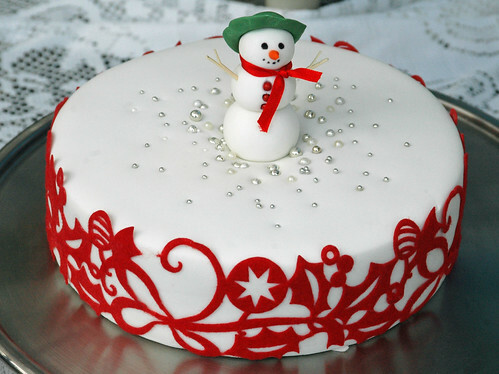 Frosty Christmas Cake, originally uploaded by Bev (Sugarbloom Cupcakes). Frosty the Fondantman.... Chocolate and Almond Torte. Nice job! This cake is so cute yet elegant, I love it! It sounds amazing too. SO cute! I love that lovely detailed work on the sides! Did you use modeling chocolate?? I was really wondering how you emboss the top of your cupcakes, they are really lovely! Is there a tool or something for doing this? PS. it won't let me post with my url but I will subscribe to comments should you reply here. Thanks again. Amazing cake!! Very nice blog!